And isn't that just the most annoying thing? I'm crazy about my life here in Austin, and yet I can't seem to get Tomball out of my head sometimes. I'll be lying in bed about to drift into unconsciousness when it hits me mercilessly. Memories of home plague my mind until I have to force myself to concentrate on something, anything else. Of course, I do. And the sadness goes away rather quickly (for the time being, anyway), but not without leaving me feeling ridiculous and weak for losing my grip in the first place. Then I wonder, what if I didn't miss anything about my pre-college years? Obviously, that would save me a lot of unwanted heartache, but I find comfort in knowing that the experiences I was blessed to have had throughout the first eighteen years of my life will forever be worth remembering. Let's just say, I'm learning to embrace my nostalgic side, all the while looking forward to a promising future. Because, well, I believe that the two go hand-in-hand. 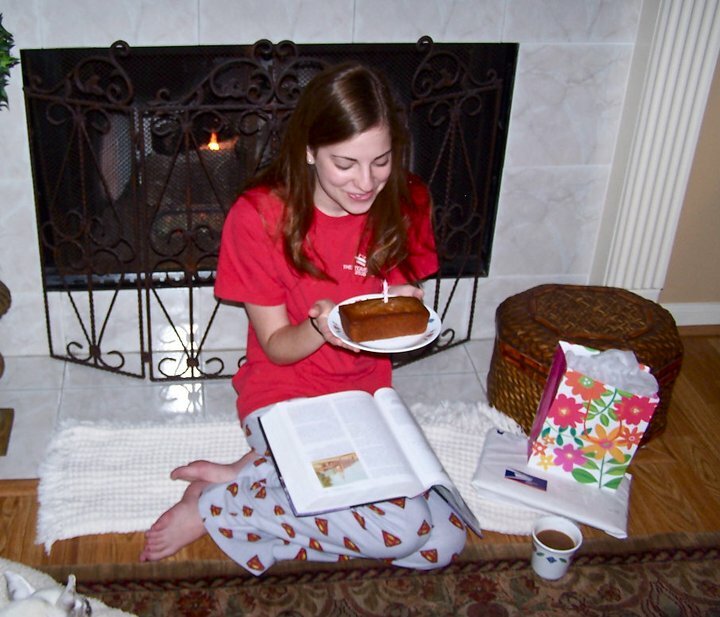 Photo taken on the morning of my 17th birthday, sitting in my favorite spot of my old house.